Show your moods simple adding manga eyes style to your photos! More than 60 expressions with three different colors. Blue, red and green. In this new version, hairstyles added to adjust your look. Create your own avatar with your own photos. 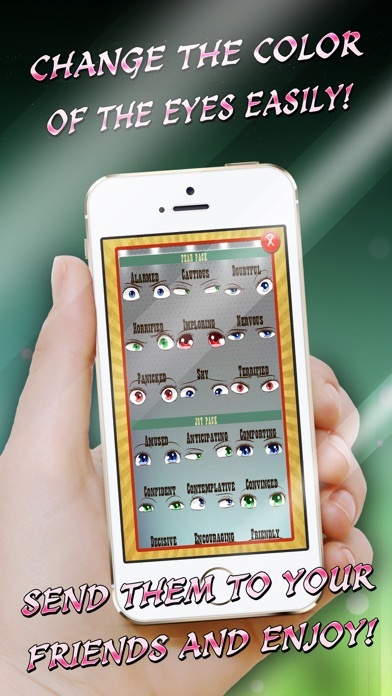 Try the emotional states which, per the construct of traditional Chinese medicine, affect chi or life energy. You can choose between the 7 moods: -Angry -Fear -Sadness. -Joy. -Disgust. -Sexual. -Surprise. 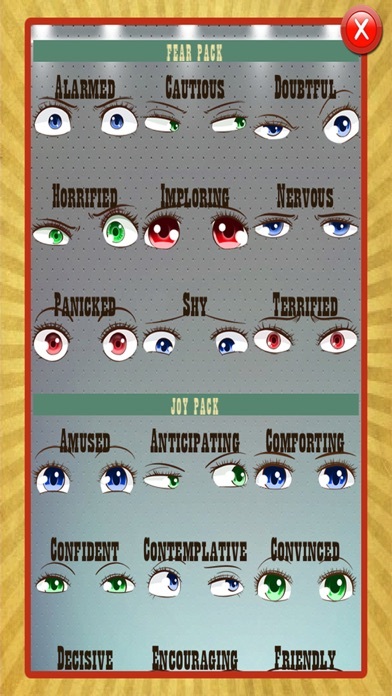 Choose from all different moods (each mood has different expressions) to create super hot anime looks of yourself. - There are more than 60 expressions. - You can save the final look in your photos or make it your girl anime wallpaper! - You can create different looks for you, your friends and put them as display pics in their contact details on your iPhone. ******** How it works ******** 1. Download the app to your device. 2. Take a photo of yourself or a friend, or grab one from your own photo library. 3. Begin the fun! Choose the accesories that you prefer to create your own avatar and add them over your picture! 4. Now you're ready to show the world, Share it on Facebook, tweet it on Twitter, email it to all of your friends, share it on Instagram and save it to your camera roll from right within your app! 5. Rinse and repeat! 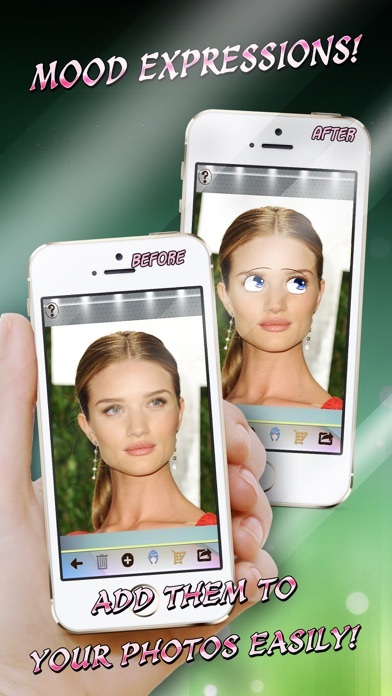 - Do it all over again with a new photo :-) Create your own anime avatar with your own face. It only takes about 30 seconds to customize, but you'll enjoy for a lot longer :-) Have fun! Very funny APP. 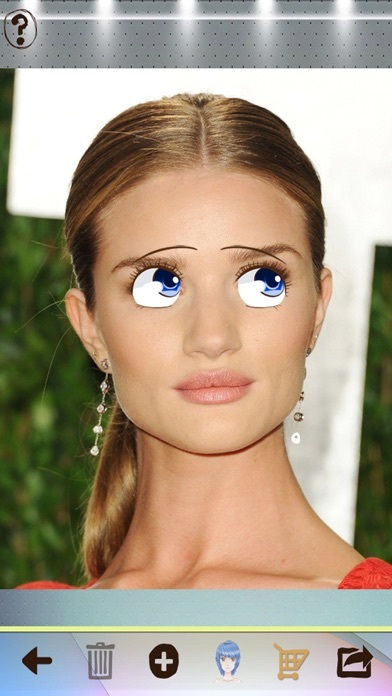 You can add manga eyes with diferent expressions to your photos! Awesome way to Snaz it up! I did me and it rocked! !